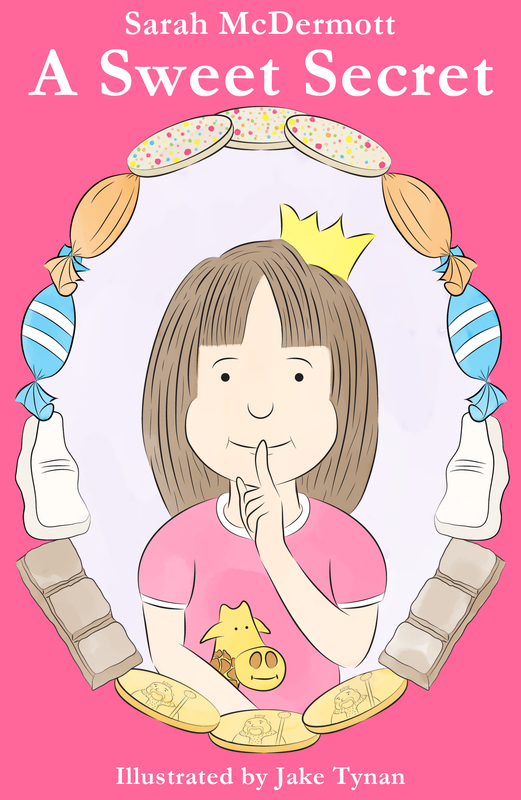 Emma’s naughty little sister Sophie accidentally falls on top of her favourite princess storybook, disappearing without a trace. A terrified Emma decides she has no choice but to follow her. She soon finds herself inside the story, crash landing in the magical kingdom of Choclandia, where nothing is quite as it seems. Emma, now a princess, quickly realises that her sister is under suspicion of having stolen King Caramelo’s gold chocolate coins. With the help of Gerald, her now life size cuddly giraffe, Emma embarks on an exciting journey to find her sister. When Sophie is proved innocent, the two girls work together to expose the real thief – Finley Fartwhistle – and in doing so, Emma discovers just how brave she can be. The girls return home from their adventures with Sophie keen to tell their mum all about it but Emma persuades her to keep it a secret. Beautifully illustrated with colour illustrations by Jake Tynan this is a first chapter book for young readers. It tells the story about the relationship between two young sisters and about never giving up. Jake has recently graduated from the University of Salford with a degree in graphic design. Although used to a more traditional form of design, he has begun experimenting with the illustration and crafting side, and is having great success. Jake prefers to illustrate digitally. However, his illustrations still have the free hand look and feel to them and this allows him to create a wide range of styles. Jake has worked closely with Sarah McDermott on ‘A Sweet Secret’ to bring the book to life with his beautiful illustrations.